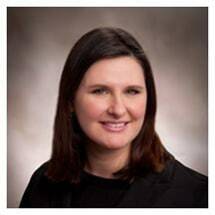 Heather N. Orisko, Esquire is an Associate Attorney with the Law Offices of Patrick F. Lauer, Jr., Esq. in Camp Hill, Pennsylvania. MoreHeather N. Orisko, Esquire is an Associate Attorney with the Law Offices of Patrick F. Lauer, Jr., Esq. in Camp Hill, Pennsylvania. Attorney Orisko has always been dedicated to the protection of defendant's rights, ever since becoming licensed to practice law. With her experience and extensive background, Attorney Orisko concentrates her practice in the areas of Criminal and Driving Under the Influence defense throughout the state of Pennsylvania. Attorney Orisko has unparalleled experience in dealing with and representing clients having mental health, drug and alcohol issues. In fact, she is one of two attorneys that have been appointed by the County of York to represent patients at outpatient and inpatient hospitals and other facilities for weekly involuntary mental health commitment hearings. Attorney Orisko is also a Pro Bono Guardianship Monitor in York County, Pennsylvania. Continuing her pursuit of the protection of rights, Attorney Orisko also practices in the area of family law, representing clients in the areas of divorce, custody, paternity, child support, spousal support, adoption, contempt, dependency, and guardianship. In 1998, Attorney Orisko graduated from Washington and Jefferson College with a Bachelor of Arts degree in Political Science, with an emphasis on international politics. She also minored in Russian language. Upon graduation, she continued her interests in international politics and attended the University of Pittsburgh Graduate School of Public and International Affairs and obtained a Master's Degree in Public and International Affairs and a Specialization Certificate in Criminal Justice. In 2000, Attorney Orisko attended Widener University School of Law - Harrisburg, from where she earned a Juris Doctorate degree in 2003. Subsequently, Attorney Orisko was admitted to practice in October 2003. Prior to working at the Law Office of Patrick F. Lauer, Jr., Esq., Attorney Orisko served as an Assistant Public Defender, representing indigent clients in York County, Pennsylvania. This position required her to appear extensively in court on a daily basis, addressing probation violations, domestic relation contempt hearings, protection from abuse orders, involuntary mental health commitments and, of course, criminal hearings, trials and appeals.